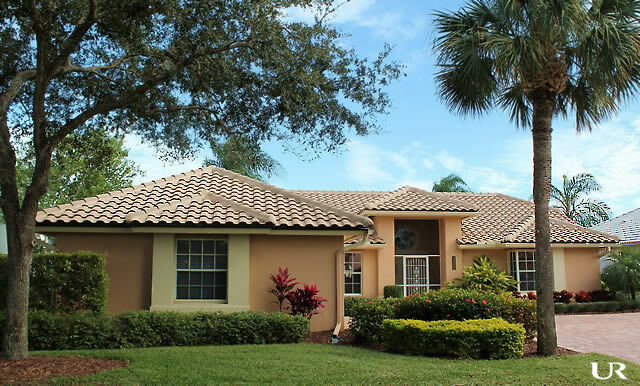 Indigo Lakes is an ideal family community in North Naples. It is a gated enclave of 397 single-family homes nestled quietly away. Although the entry gates are just off the west side of Collier Boulevard, the closest home to Collier Boulevard is set back more than 1,000 feet. From that point, the community extends west until it meets the eastern boundary of the Arrowhead Golf Course. The majority of homes in Indigo Lakes range in size from 2,000 to 3,200 square feet, including three and to five bedroom floor plans with both single and two-story elevations. A relatively new community, Indigo Lakes homes were built between 2000 and 2010. Inside Indigo Lakes is the neighborhood of Indigo Preserve. The 69 homes in Indigo Preserve feature a minimum of 3,000 square feet of living space along Beaufort Circle. Homes at Indigo Preserve are custom-built. A typical home in the preserve may have four to six bedrooms and two or three-car garages. A Publix Supermarket, Walgreens, and a CVS Pharmacy are at the intersection of Immokalee Road and Collier Boulevard. Several banks and a Winn-Dixie at to the south on Collier Boulevard. A Walmart Supercenter, a Target and several other stores and eateries are at the intersection of Immokalee Road and I-75. Prospective buyers with children are always pleased to discover that the schools their children attend are all within less than two miles. In fact, Oakridge Middle School, the home of The Bulldogs, is only three hundred yards north of Indigo Lakes on Collier Boulevard. Laurel Oak Elementary School and Gulf Coast High School, home of the Sharks, have adjoining campuses on the south side of Immokalee Road, just west of Collier Boulevard. Eighty percent of GCHS graduates chose to continue their education at colleges and universities following the 2014-2015 school year. The school produced three National Merit Scholars in both the 2014 and 2015 academic years. Indigo Lakes is known as a peaceful, quiet community – a pleasant place to raise a family. An active Homeowners Association ensures that serenity and strives to create a good-neighbor relationship thriving among its residents, particularly when it comes to maintaining the community’s architectural and landscaping integrity, a concern for many home buyers. The HOA fee is quite modest compared to many other Naples area communities. Indigo Lakes, as is common in Southwest Florida, has a clubhouse and a large community pool, although many residents have private, screened pools. The community center has a lighted basketball court and lighted tennis courts. Investors interested in purchasing homes in Indigo Lakes should know that the minimum length for leasing is 90 days.